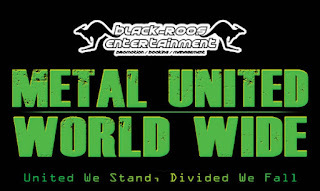 Metal United World Wide Returns in 2019! On May 5,2018, the biggest underground metal event with over 400 bands took place in 43 countries and 64 cities. It was a huge success with overwhelming impressions from metal communities all over the world. After this passionate display of love for the music and the community, there must be a second round of Metal United World Wide in 2019. Coordinating with so many countries (and possibly even more than in 2018), it is not easy to find consensus but June 15, 2019 has now been chosen for MUWWs second edition!